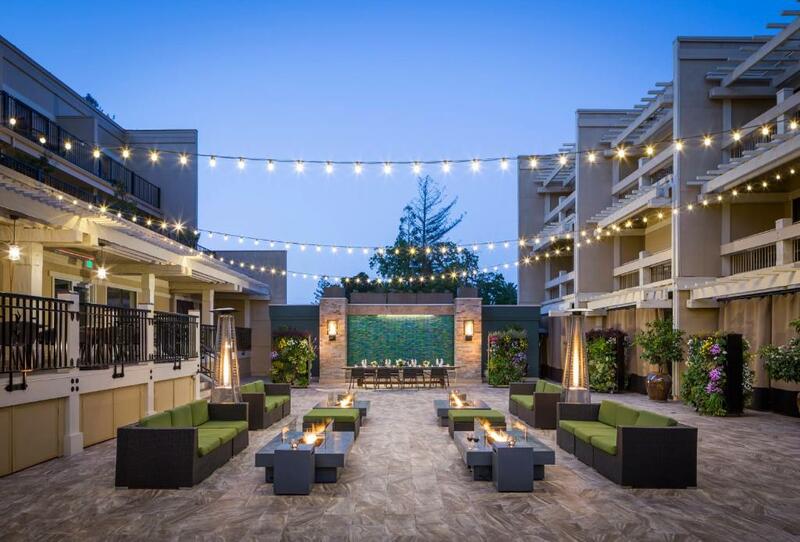 A full-service hotel with a small-town location Toll House Hotel Los Gatos impresses our guests with its modern decor copius amenities and ideal location. The three-story Toll House features 115 rooms decked out in modern decor and soft earth tones. All accommodations have free Wi-Fi flat-panel TVs iPod docking stations DVD players work desks private patios and coffeemakers. 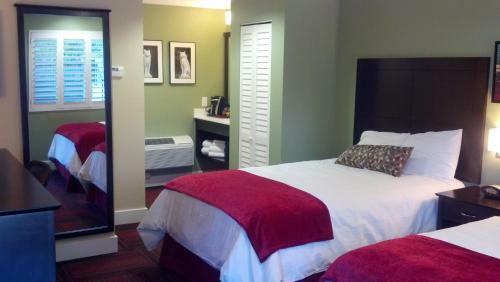 Suites have fireplaces and some accommodations have separate sitting rooms. Extensive use of wood and stone lends a rustic-chic atmosphere to the hotel's common areas. You'll find a well-equipped business center on-site and also a fitness room. The restaurant/lounge offers local organic foods outdoor dining and room service. Parking is free. Guests may bring up to two dogs for three nights for an extra charge. The Toll House is 20 minutes from HP Pavilion a sports and entertainment arena in San Jose. It's five minutes from the shops and restaurants of downtown Los Gatos and 30 minutes from Shoreline Amphitheater in Mountain View. The hotel's perch at the base of the Santa Cruz Mountains puts guests in easy striking distance of hiking and bicycling trails. Mineta San Jose International Airport is 12 miles from the hotel. our guests praise the modern rooms with bathrooms "that feel like a spa" the "excellent" location and the "kind and nice" staff at Toll House Hotel Los Gatos. "Friendly staff, exceeded our expectations for the price"